If you are still having issues, please contact support at support@axs.com. Hello! We see your preferred language is English (United States), would you like to stay on English (United States) or switch to English (United States)? One of autumn’s most highly-anticipated music festivals is just around the corner; the Roots N Blues N BBQ Music Festival (RNBNBBQ) is set to take place Sept. 28-30 in Columbia, Missouri. The event will feature lots of internationally-known stars; Los Lobos, Taj Mahal, Keb’ Mo’, Trombone Shorty, Margo Price and Sturgill Simpson are among acts set to appear. Local and regional standouts are also on the bill, and fans will come in droves to see them all, especially local favorites the Kay Brothers who released a self-titled debut album earlier this year. The Kay Brothers play roots music that’s highly reflective of where they live, and their music is affectionately known as “Old time Missouri stompgrass.” The five-piece consists of Pat Kay on vocals, banjo and guitar, Bryan Kay on bass, Shakin’ Jake on percussion, Roger Netherton on fiddle and Molly Healey on cello and fiddle. Pat answered a few questions for us by email and he told us about looking forward to RNBNBBQ, the making of the band’s latest video, and having fun with flying donuts. His commentary below is given exclusively to AXS.com. AXS: How do you feel about being able to appear at the Roots N Blues N BBQ Music Festival right in your hometown of Columbia, Missouri? Who among the scheduled acts are you hoping to see perform, meet or even jam with? 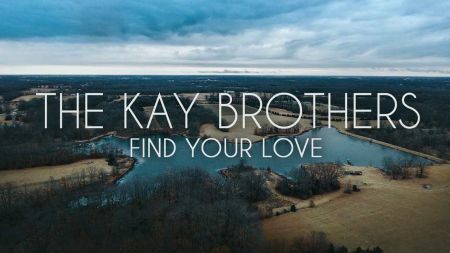 AXS: The Kay Brothers draw a lot of inspiration from the sights, sounds and history of your home state. What is the most recent thing you’ve discovered that has inspired your songwriting, playing or another part of your creative process? PK: The inspiration in our creative process is a slow drip of identifying the unique relevance of things we (and by “we” I mean all Missouri natives) already know and perhaps take for granted. We all have some real whoppers in the storytelling realm, for instance. Often it is not until someone says "Wait, this really happened? Seriously? That’s a song, right there" that you realize how special and unique some of the seemingly most everyday things in our lives really are. So a lot of the creative process is reaching into the bucket of topics, expressions, and stories that we've identified as being telling of Missouri culture. Most of the material that we play is derived from traditional songs, many of which find their way into that "bucket" with the help of others. For instance, we were checking into an outdoor festival event a couple years ago and the person working the counter turned out to be a fan. He said, "I love all the critter songs that you all play. Have you ever heard the song “Slew Foot”? My grandmother used to sing it." I hadn't heard of it but I looked it up, worked out an arrangement, and now that song is in our show, if for no other reason than because a Missouri grandmother used to sing it to her grandchildren. That’s a tradition that we can get on board with. In the end, our primary objective is to perpetuate as much Missouri music culture as we can. AXS: You’re quite the impresario in Columbia and surrounding region. Tell us about your work with The Blue Note live music venue and your other endeavors. PK: I play in the Kay Brothers by night. By day I book the bands at The Blue Note and Rose Music Hall. As they say, "If you do what you love, you'll never work a day in your life." After graduating from college, my father told me not to stress too much about finding a job; "You'll fall into something." As if the vocation that would provide the most personal satisfaction was going to come looking for me. Turns out he was mostly right, though I think my concerns at the time were really a manifestation of fear that doing what I love may prohibit me from being able to have a family one day. It's difficult to pack all the things I'm grateful for into words, but I'm so blessed to love what I do for a living and to have a rock star wife as a partner in raising our two children. I have to pinch myself sometimes. AXS: Tell us a little about the filming of the “Find Your Love” video. Where were the outdoor scenes shot? Was a drone used to shoot the aerial footage? PK: The video was shot by our friends at Bussen Productions near Auxvasse, MO in Callaway County. We met Karl Bussen when he did the photography and videography at Jake's wedding. Karl approached me that night to share a picture he'd taken of us at a previous show and it had a magical perspective that I couldn't put into words. All I knew at that moment was that we absolutely had to work with him on something. A proper video was on our to-do list and when I later saw his videography from the wedding I realized that was the ticket. We decided to approach him about doing the photos and a video shoot for the new album, but when we opened our email to write him we found a message from him inquiring if we had interest in just that. We ultimately agonized over which song to do and we never made a firm decision. In the end, Mother Nature made it for us. When the big day finally came around the weather took a turn for the worst. Freezing rain produced some pretty scary driving conditions the likes of I hadn't seen in several years. I recall trying to make the turn to the site and Bryan and I sliding helplessly about 10 yards beyond it despite having been at a crawling pace. Karl had a drone which we'd planned on using quite a bit that day, but he couldn't fly it in the rain because the props scattered a spray of water in front of the camera lens, so the aerial footage was hit or miss. Molly somehow made it from Springfield but Roger wasn't so fortunate coming in from St. Louis. We'd planned to shoot a video in a cornfield and there we were: a band member short, huddled around a kerosene heater in an old auto garage listening to the rain hit the tin roof, with three hours to shoot a video. We'd intended to do "Mountain Song" in the event of bad weather, but we hadn't counted on Roger not making it. There was only one tune that would showcase reasonably well in Roger's absence and I don't recall any discussion about song selection that day. We all knew what song to do. We moved some boxes, swept the floor, and started playing it. AXS: The Kay Brothers will be playing at the Rocheport Doughnut Festival in early October, where part of the fun is a “doughnut tossing tourney.” Will you personally be throwing any deep-fried treats? PK: Let me first say that my wife loves doughnuts. We have two small children and the band has a deep commitment to trying to make the musician vocation meld with having a family. When a family-friendly event is presented to us that can qualify as an activity for our kids, it’s a huge bonus. When that family-friendly music event involves donuts or tacos, I can be almost certain that my wife will be interested. We want our kids to be able to enjoy as much music culture as we can and there are only so many opportunities to do that. Might I indulge in the throwing of deep-fried treats? Certainly. Hook shot to my wife. Bam! 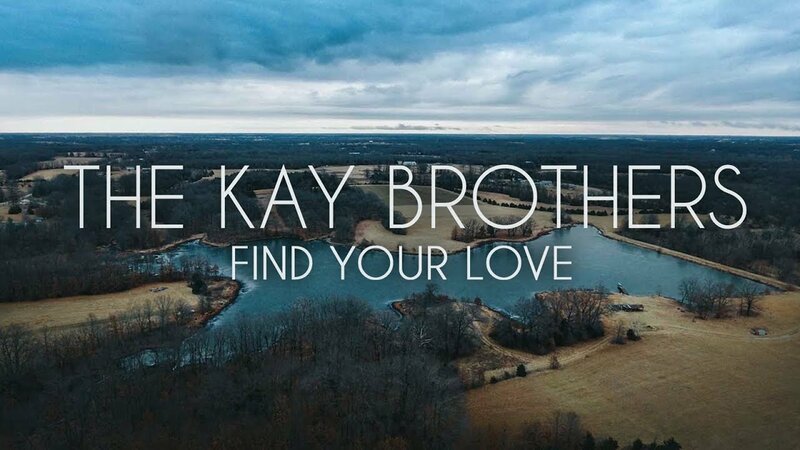 Follow the Kay Brothers here. © 2011-2019 AXS. All rights reserved. © 2011-2016 AXS. All rights reserved. Sign up for our weekly event guide email. Be the first to know. Get personalized event announcements, updates, and reviews every week with the AXS.com event guide email. Thanks for signing up for the event guide! Welcome, please create an account. E-mail address is required to create an account. By clicking Next, you agree to the AXS.com Terms and Conditions. You haven't searched for anything yet. Go on, get out there! There are no suggested results at this time.